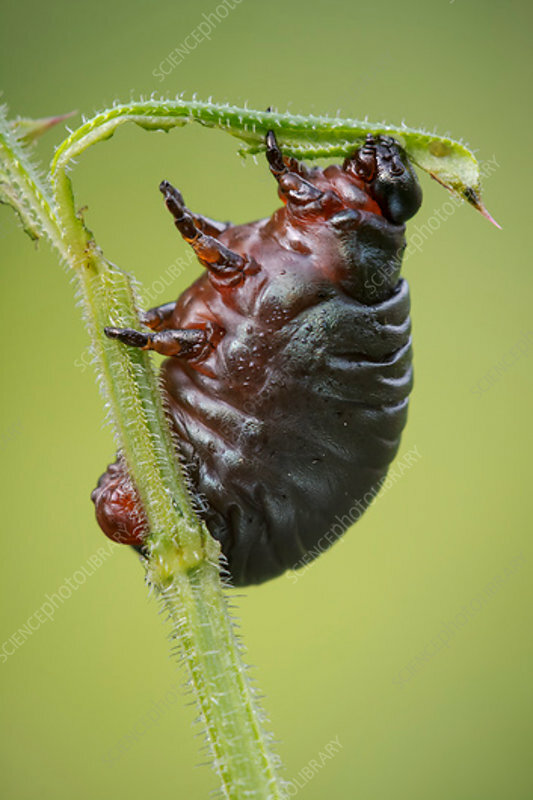 A larva of the bloody nosed beetle (Timarcha tenebricosa) feeding. The larvae of this beetle are a monophagous and will feed only on species of bedstraw. The adult beetles get their name from the foul tasting red liquid they exude from their mouth as a defence mechanism. Photographed in Somerset, UK, in May.